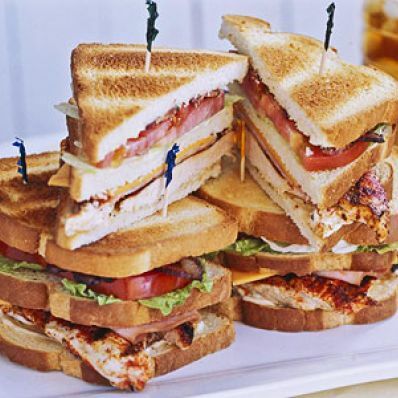 To improve upon the classic club sandwich recipe, we spiced up the grilled chicken with a Cajun-style rub. 1 of 4 Heat gas grill to medium or prepare charcoal grill with medium-hot coals. In a small bowl, make Rub: Mix paprika, onion powder, garlic powder, cayenne, salt and pepper. Rub 1 teaspoon into chicken breasts. Stir remaining rub into mayonnaise. 2 of 4 Heat bacon in microwave for 30 seconds. Break slices in half. Set aside. 3 of 4 Spread each slice toast with 2 teaspoons mayonnaise. 4 of 4 Grill chicken for 2 minutes. Turn over and top each with 1 slice ham. Continue to grill an additional 1 to 2 minutes. 1 of 1 Place 4 slices toast on a work surface, mayo side up. Top each with chicken, then 1 slice cheese. Top each with a second slice toast, mayo side up. Then top each with 2 lettuce leaves, 1 slice tomato and 2 bacon pieces. Top each with remaining 4 slices toast, mayo side down. Press gently to compress, and slice sandwiches in half diagonally. 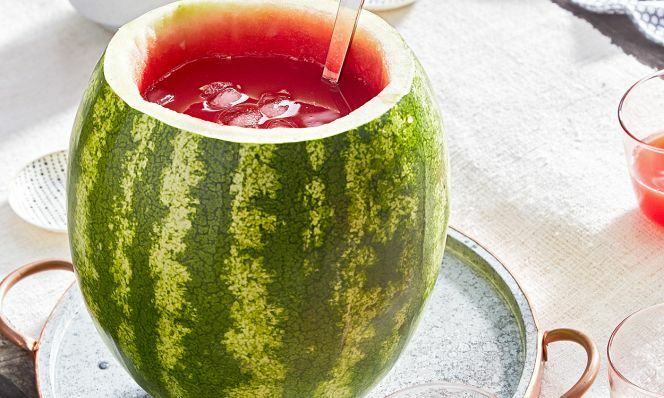 Secure with toothpicks and serve.